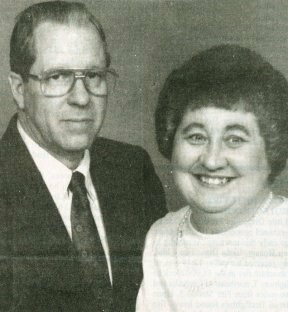 Back to "The Latest Kewpie Stuff"
John and Janice (Mills) Lumb celebrated their 45th Anniversary on December 5, 2003. 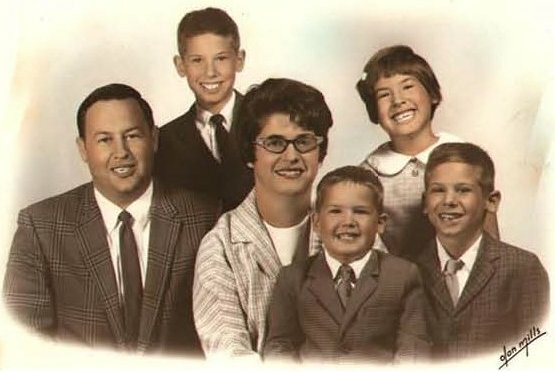 Both John and Janice grew up in Columbia. 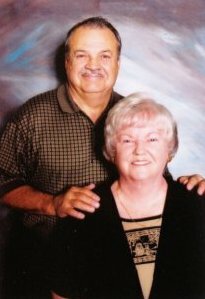 owners of Oscar's Auto Service until their retirement in 1976.
can be reached at Route 6, Box 618101 Ava, MO 65608. 417-683-3111. John Lumb, Class of 1954, is February 2004, "Kewpie of the Month"
First Baptist Church, on Broadway, in Columbia, Missouri. Please send email to cvansciver@earthlink.net if you plan to attend. Jeanne Taylor, Class of 1940 "June 2004, Kewpie of the Month"
daughter Sylvia Bradfield (1960 Kewpie), Leo (1938 Kewpie) and Mary Ann, and daughter Nancy (1967 Kewpie) and husband John Seiler. 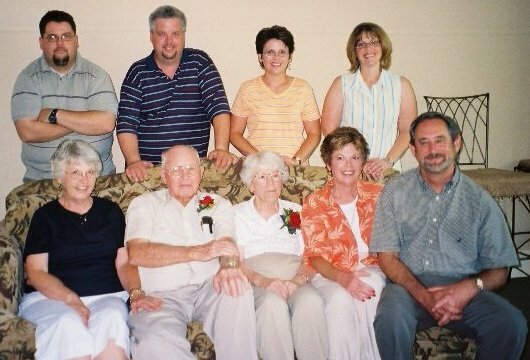 In the top row, from left, are grandchildren Brett (1988 Kewpie) and Brian Bradfield (1982 Kewpie), Melissa Meister and Michelle Ham. On July 16, daughter Nancy Seiler invited her parents over for lunch but said they first had to go to the swimming pool to get the kids. and many friends waiting to celebrate and make a "to-do" over such a milestone anniversary. 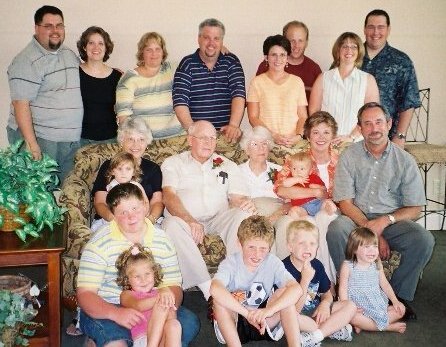 In attendance besides Nancy and her husband, John, were the Robertses’ other daughter, Sylvia Bradfield; grandsons Brian and Brett Bradfield and their spouses, Katy and Cristy; and granddaughters Melissa Meister and husband Pete and Michelle Ham and husband Trey from Olathe, Kan. Great-grandchildren included Matthew Bradfield, Bradley and Andrew Meister, Madalyn and Olivia Bradfield, and Elizabeth and Jackson Ham. See the complete story by Irene Haskins of "The Columbia Daily Tribune"
Back to Top of Page - Back to "The Latest Kewpie Stuff"
Luke passed away Thursday, Jan. 1, 2009. 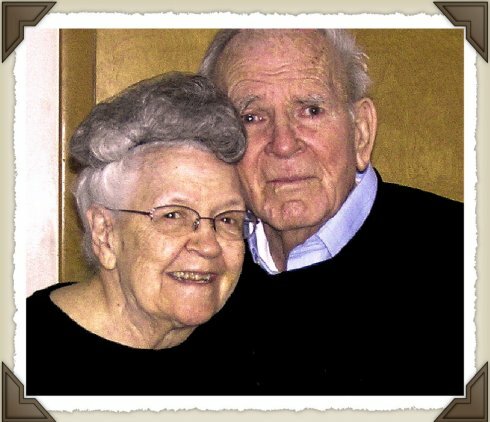 The Geels were married Jan. 10, 1942,in Ashtabula, Ohio. 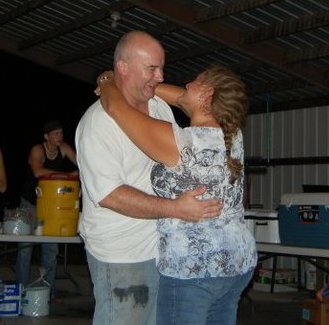 Thanks, Judy for providing this picture and congratulations to you too for still having your parents. lives in Peoria, Illinois, with his wife, Helen and daughter, Renee, 1. The couple is planning a future trip to the Lake of the Ozarks and Branson. 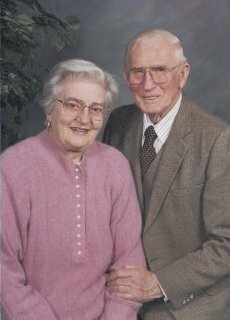 Donald Ray Roberts (Class of ’53), son of Ray M. and Julia Blanche (Edwards) Roberts, and Marilyn H. Hummel (Class of ’54), daughter of Lynn Ellis and Ruth (Ridgway) Hummel, were married at the First Christian Church in Columbia, Missouri, by Dr. C. E. Lemmon on December 28, 1957. 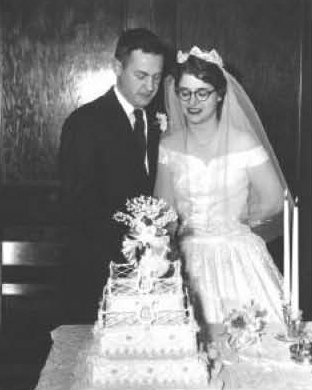 Maid of Honor was Marilyn’s sister Anne (Hummel) Cash and Best Man was Curtis Walton Brown. Bridesmaids were Ellen Henry and Judy Roberts. Groomsmen were Seth Slaughter and Larry Sutherland, and ushers were Robert Henry and David Taylor. 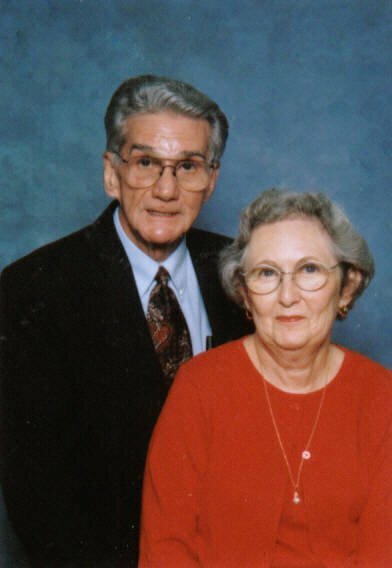 Donald had completed his BA at the University and had finished 6-months of U.S. Army active duty at Fort Carson, Colorado; and Marilyn had performed her senior recital for her BA earlier that month. Don completed his MA in English Education and Marilyn completed her MA in Music Education, and while Don fronted a dance band and Marilyn taught private piano lessons, the family grew: David Lynn was born in 1958; Deborra Louise born in 1960; Michael Ray born in 1962; and Mark Hummel born in 1964. From 1960 to 1967, Don return to Kewpie land and taught English and Journalism at Hickman High School. 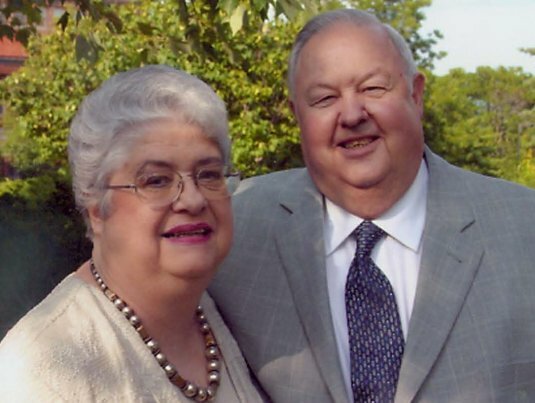 Don left Hickman in 1968 and moved the family to northwest Missouri where he was English Consultant, Site Coordinator, and, finally Director of Project Communicate, a federally-funded project. He returned to MU in 1970 and completed his Doctorate in 1972. During the period 1967 to 1972, Marilyn continued taking courses, teaching in three elementary schools and teaching piano privately. Don worked as Assistant NCA Chairman to Dr. Neil Aslin. In 1972, Don joined the Shawnee Mission School District where he served in several administrative positions: Director of Language Arts and Foreign Language, Director of the Curriculum Center, and in building administrative positions. He continued to be active in NCA accreditation activities. Marilyn continued teaching in elementary schools and privately. 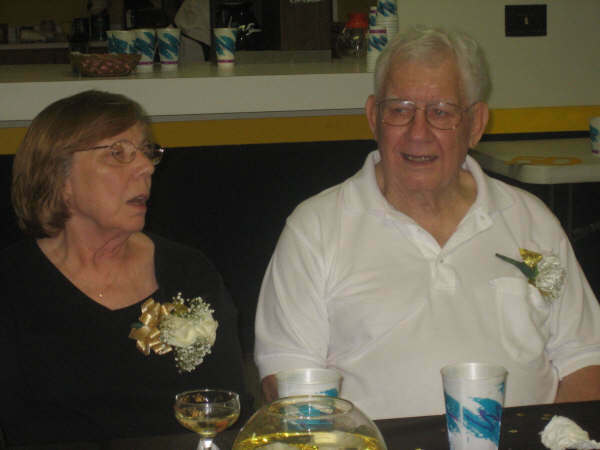 Don retired from Shawnee Mission in 1997 and Marilyn retired from the Blue Valley District in 1998. 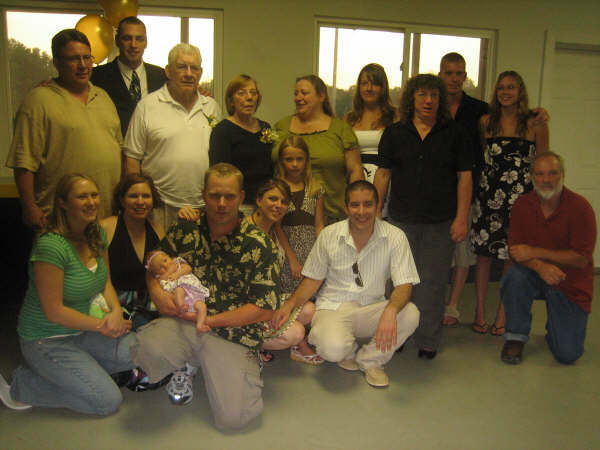 They have 9 grandchildren and two great grandchildren. They took the family to DisneyWorld November 2007 to celebrate their GOLDEN MOMENTS. Don and Marilyn live in Overland Park, Kansas. 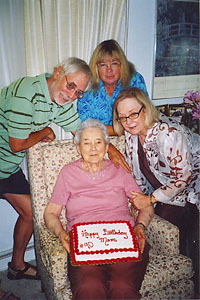 Myrtle Taft celebrated her 90th birthday Aug. 8 with her husband, Bill, and their three children. Bill Jr. came from Kansas, Marie Margolin from California and Alice Fisher from Texas. Wishing their mother, Myrtle Taft, a happy 90th birthday are her three children, from left, Bill Taft Jr. (Class of 1963), Alice Fisher (Class of 1971) and Marie Margolin (Class of 1960). Nine bouquets of flowers, donations of meals and other edibles, calls and cards combined to make this a festive occasion. Myrtle’s health problems have prevented her attendance at Missouri United Methodist Church for several years, but she managed to make the Aug. 10 Sunday services. 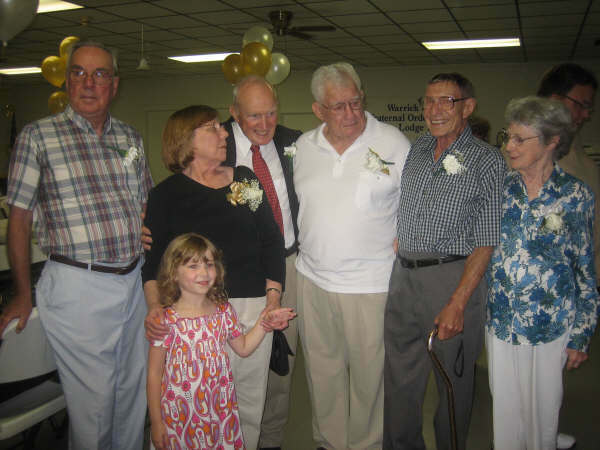 Recognized by pastor Jim Bryan, she received a healthy welcome back to the center of much of her interest and concern since the family moved to Columbia in 1956. 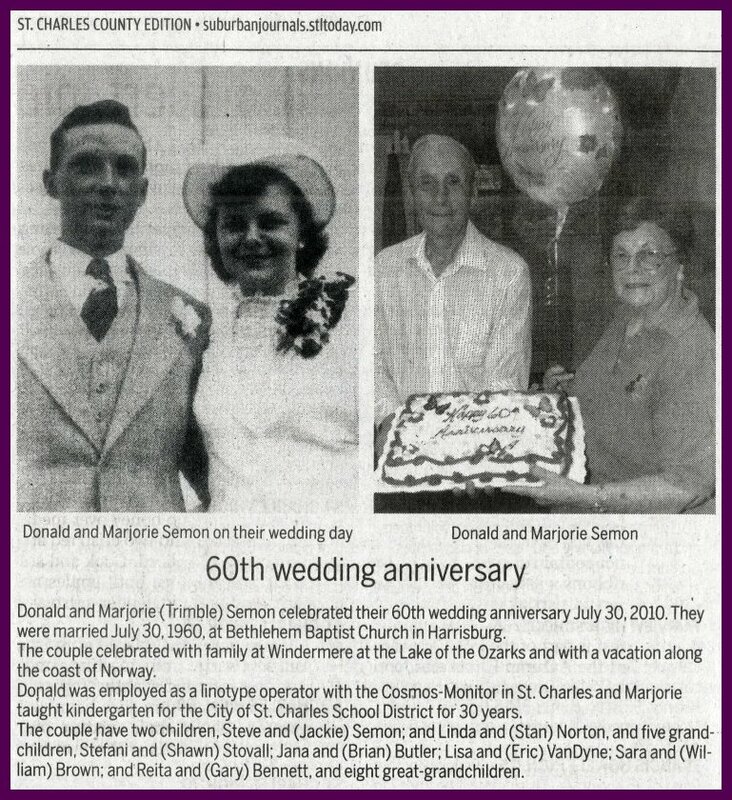 Myrtle and William Taft, now a retired MU journalism professor, were married in early 1941 and have completed more than 65 happy years together. Her husband recently published a book in tribute to their togetherness appropriately titled “Created in Heaven: A Love Story.” The emphasis is on the contrast of their backgrounds, their nearly five World War II years followed by his pursuit of a doctorate and several moves. Also included are recollections and pictures — 125 of them — from family and friends. One of 14 children, Myrtle was born in Virginia and is the only one to live outside that state and the only one to marry a non-Virginian — sweet-talkin’ Bill. Four of her siblings have died, and the other nine still live in Virginia. 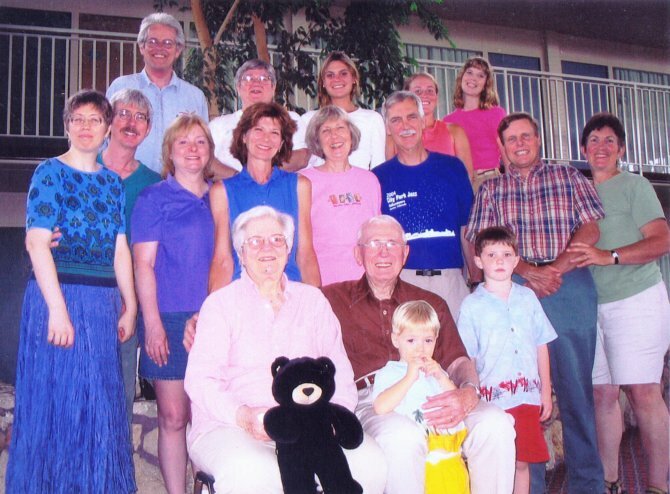 The final family reunion the Tafts attended was held in Virginia in 2000. Recently, Myrtle had a corneal transplant and hopes to regain her ability to read papers, magazines and books. This transplant came from Alabama, so she remains a “true Southerner” and still sees things from a Southern viewpoint. Jerry "Jr." and April Ruble, 1985 Kewpie, Cockrell of Columbia celebrated their 25th wedding anniversary Saturday, Sept. 18, 2010 at Finger Lakes State Park in Columbia. 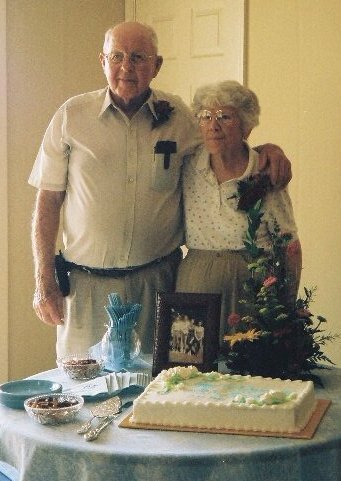 They were married Sept. 14, 1985 at Dripping Spring Christian Church of Columbia by the late Rev. Harold Willard. April & Jerry have two children; Katelyn and Kortney of Columbia. They were married in San Diego, California and still resided there. Marty is a retired Adult Education teacher and Ed is a retired Land Development engineer. 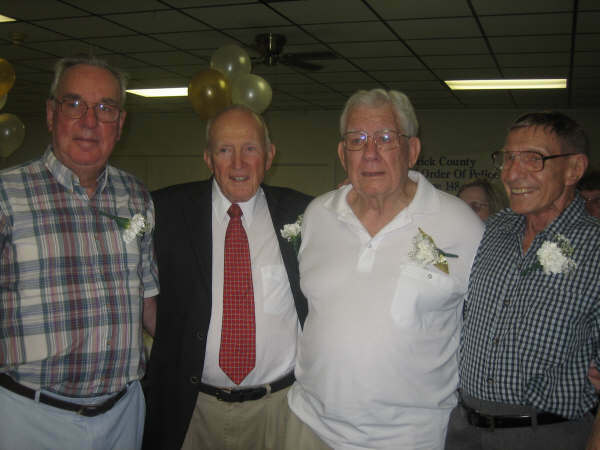 Marty & Ed were both Kewpies of the Class of 1951. 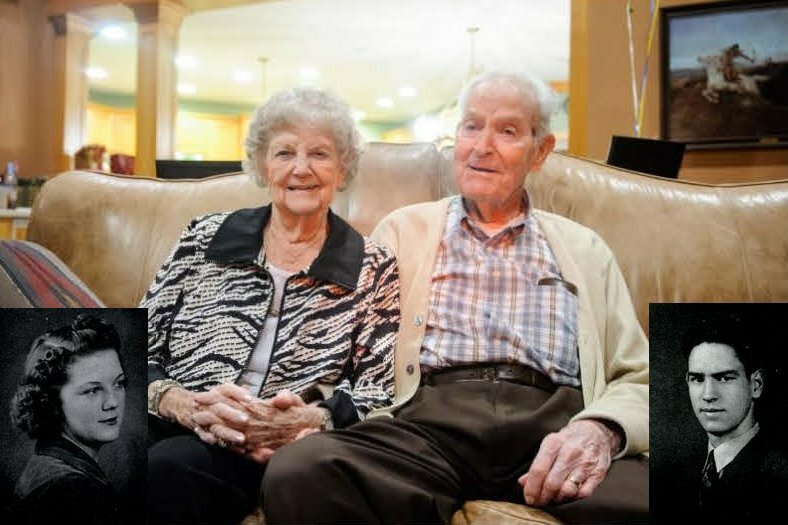 Mary Helen Ballew Yoest, 90 and Lloyd Yoest, 91, celebrate their 70th wedding anniversary with family and friends Saturday at the Columbia home of Tom and Diane Mendenhall.